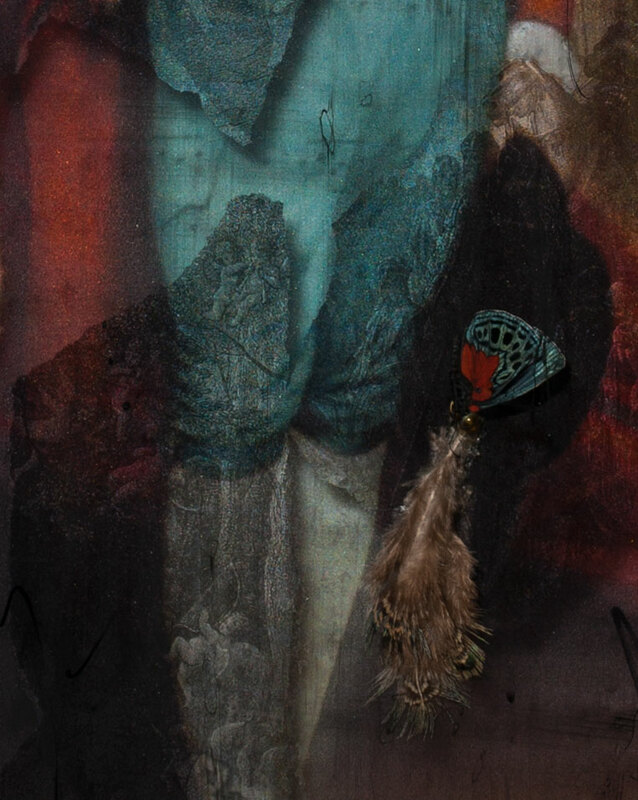 Whispered Memories is one of 12 new works featured at the upcoming one-woman exhibition for Ingrid Dee Magidson in Vail, July 5th. Mysterious and thought provoking, it is a good example of her recent work. Once again, Ingrid challenges herself to reach beyond the expected into the unknown. We feel a great sense of time with this piece. The little boy has long since grown up, lived, died, was buried and has long ago turned to dust. Yet here he is again, as if reawakened from a dream. 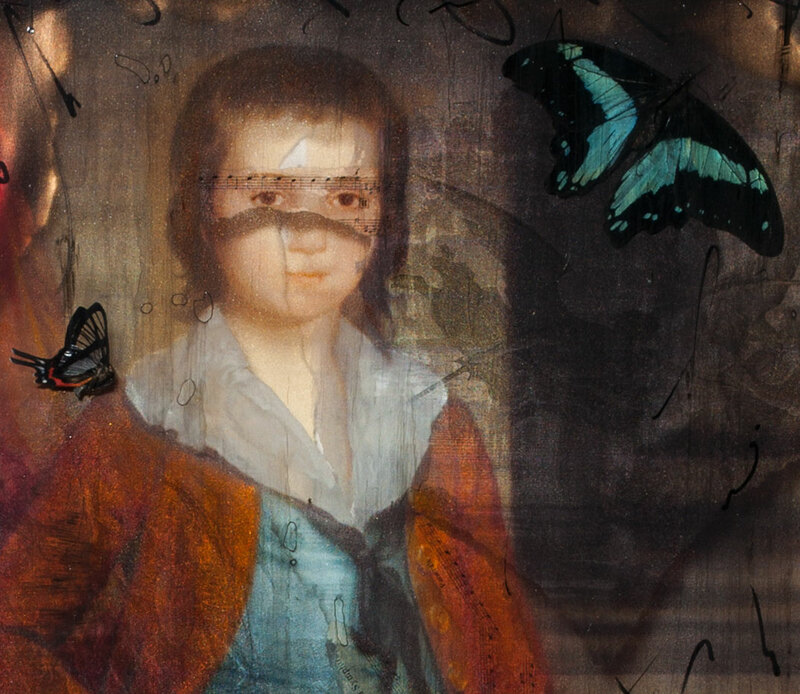 The butterflies flying around his head, give the viewer a feeling that he just ran in long enough to get his portrait painted, and ran back out to play. His clothes and hat reveal a deeper sophistication, however. And his haunting eyes show a thoughtful look far past his young years. When we look closer, we find an entire life woven into the boy’s figure. His clothes are not just fabric but stories, mythology and adventure. One see’s cupid and other cherubs. But there are also kings, battles and castles, an entire life layered here. It is the boy’s future, now our past, that is merged impossibly together. 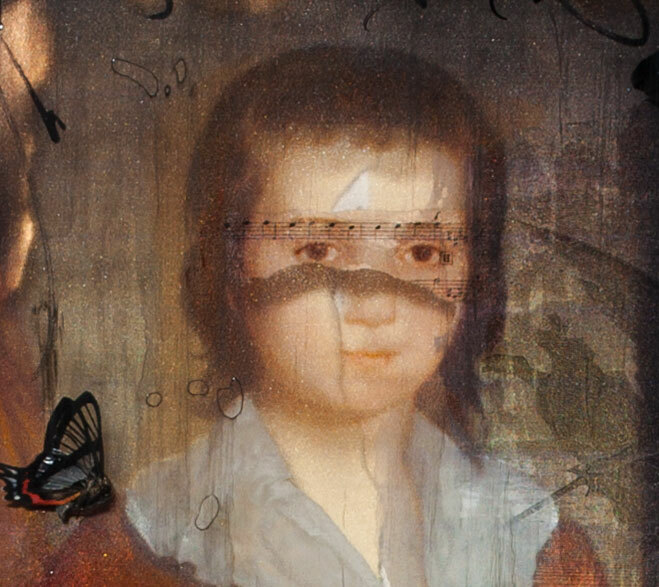 One necessarily moves back to the boys face, cherubic and beautiful, but fractured. Ingrid has layered it in such a way as to show a break under the eyes. The mind dreams of the future, the eyes see past us beyond even our own lifetimes. But the heart and body are separate from the mind, part of the past and history. It is this fracture that keeps up coming back to his beautiful young face, the past and the future trapped in his small body. Whispered Memories is about all of us, about our link to our own childhood, when we gazed into the future unafraid, without care for the past. But as we get older, our future shrinks, and our past grows, the two threatening to tear apart from each other. But they don’t tear us apart, the stay joined. And just like Whispered Memories, we hold the impossible together. 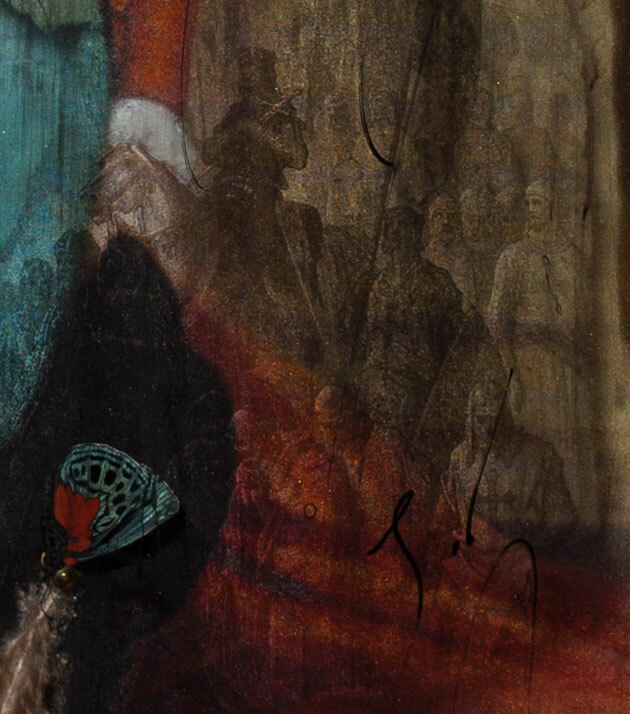 Whispered Memories and 11 other works by Ingrid Dee Magidson will be featured at her One-Woman Exhibition opening July 5th and 6th at Galerie Zuger, Vail, 6 to 9pm both nights. The exhibition continues for three weeks. 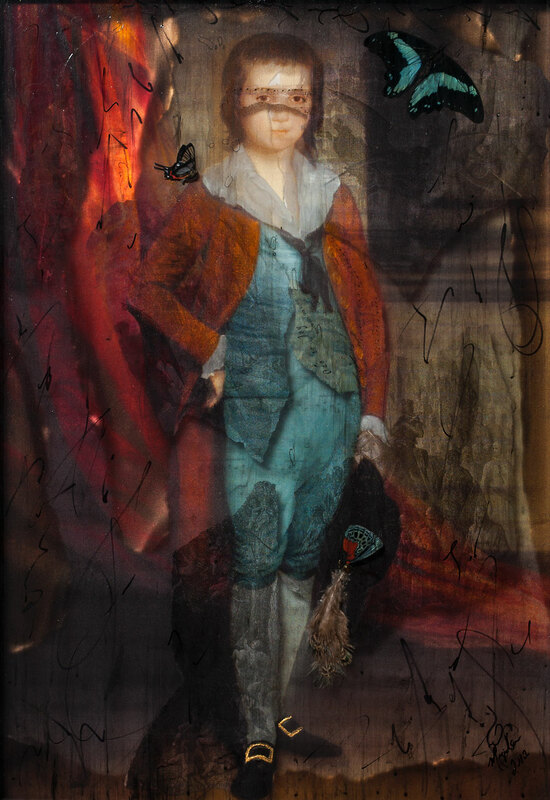 This entry was posted in Art, Aspen, galerie zuger vail, Ingrid Dee Magidson, Layered Mixed Media, Museum and tagged Art, contemporary, Ingrid Dee Magidson, layerism, transparent art, Vail. Bookmark the permalink. Your truly an amazing artist!!! !